Thorne Digital began doing graphic design, web development and real-time billing systems and intranet applications for organizations like OneMain/Earthlink and JP Morgan Chase & Co.
Graphic Design talent makes the difference and Thorne Digital goes above and beyond, using only the best Graphic Artists and Graphic Design talent in New York, Los Angeles and the world. 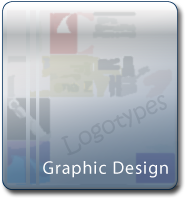 Our experienced New York Graphic Designers, Artists and Creatives excel at integrating your business stategy and brand identity with the proper approach to communication based on your unique corporate culture. "Crafting the content" is key when integrating informative business designs with intuitive concepts. Thorne Digital has the Graphic, Literary and Creative Talent with the commitment to execute your brand across multiple mediums with measurable impact. Practical research leads to measurable results while keeping each unique client's budget in mind. Call Toll Free (888) 341-3707 today for your graphic design, logotype, typography or ad campaign concept design, video production project or CGI/Animation and special effects needs.